Take a minute to look at our credientials. We are global, multi-lingual, with years of experience. We have truly been in your shoes, experienced the pain and joy, solved the problems, understand where you are. Our goal is to partner with you on your journey to success in High Performance. David Hanna is dedicated to improving the business results and quality of life of those who work in organizations. 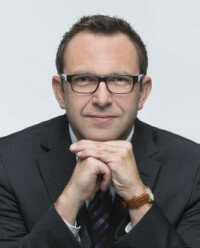 He has worked as an internal consultant, external consultant, executive coach and program leader and is experienced in the fields of principle-centered leadership, strategic planning, organization diagnosis, high performance work design, team development, executive coaching and development, and change management. He has worked with clients in North and South America, Africa, Asia, Europe, Australia and Russia. His list of clients includes adidas, Blue Cross Blue Shield, Böhringer Ingelheim, Cinepolis, Conoco, Deloitte & Touche, DigitalGlobe, EQUATE, General Mills, Hoffmann-La Roche, Huawei, Maersk, METRO Group, Novartis, Procter & Gamble, Raytheon, Scripps Networks Interactive, S.C. Johnson, Shell, Siemens, United Health Group, Walmart, Xerox, and Yildiz Holding. 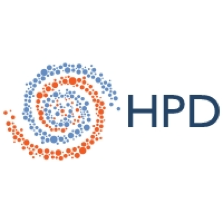 Dave is a Partner in the HPO Global Alliance, a professional services firm committed to better understanding High Performance Organizations and the methodologies by which they can be sustained and expanded. Previously he was a Principal at The RBL Group, a partner with Confluence Experience, and a senior consultant with Franklin Covey Co.Prior to joining the Covey organization, he worked 16 years with the Procter & Gamble Company in both management and consultant roles. During his P&G career he worked in the United States and Europe consulting in numerous manufacturing plants, foreign subsidiaries, Research & Development technical centers, and the corporate headquarters. He consulted with a number of successful start-ups and also helped business leaders turn around some serious business dilemmas in manufacturing, the European operations, R&D productivity and business unit volume/profit growth. 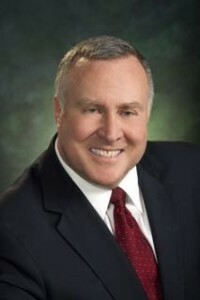 He was also director of the company’s first executive leadership program, coaching many of the top executives to improve their personal leadership and organizational effectiveness. Dave received his B.A. in Communications and his M.A. in Organizational Behavior from Brigham Young University. He is presently an Adjunct faculty member in the Marriott School of Management at BYU, teaching a semester course in Organization Design. André de Waal MSc, MBA, PhD is Academic Director of the HPO Center, an organization which conducts research into high performance organizations. 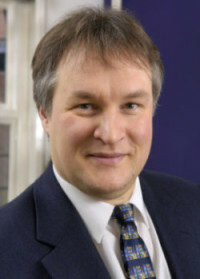 He is also Associate Professor of High Performance Organizations at the Maastricht School of Management, guest lecturer at Vrije Universiteit Amsterdam and Erasmus University Rotterdam, and visiting fellow at Cranfield University (United Kingdom). 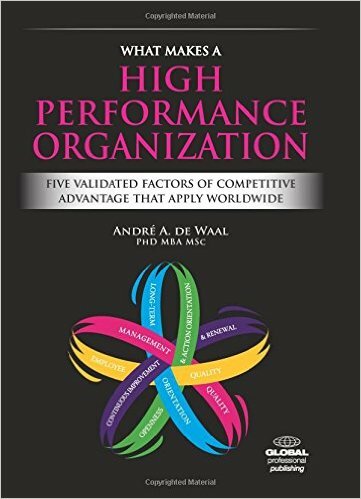 As an independent boardroom advisor and researcher, Andre has advised over 200 global organizations on performance management and high performance issues. His consultations with his client companies and professional management associations span five continents with touch points in the USA, Europe, Asia and Africa. He has published over two hundred fifty articles and twenty-five books. His articles have been published worldwide by British Academy of Management, Management Online Review, Business Strategy Series (Emerald), Chief Learning Officer, Leadership Excellence, MSNBC.com, and many more. André has conducted several years of scientific research, examining 290 international studies and analyzing studies in 50 countries involving over 1,470 profit, non-profit and government organizations. 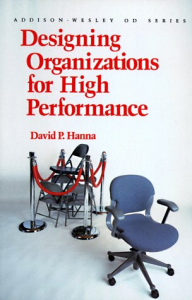 The results of his study into the success factors of High Performance Organizations are found within the pages of his latest book What Makes A High Performance Organization. He also worked for seventeen years as an organizational advisor and partner at Arthur Andersen and the Holland Consulting Group. Awards & Recommendations André has been selected as one of the Dutch Masters in Management, ten people who have influenced management thinking in The Netherlands the most in the past decade. In 2009 and 2012 André received the Highly Commended Award from the International Journal of Productivity and Performance Management. Especially his research into high performance organizations and high performance leadership attracts a lot of global attention. 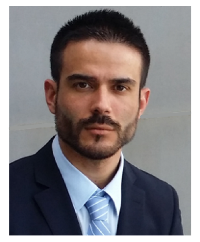 Jonathan Escobar Marin is a Global Director of lean management with the HARTMANN Group in Heidenheim an der Brenz, Germany, where he is leading an international transformation with the core focus on the Operations network and related business functions. He also is a strategic partner with the High Performance Organization Global Alliance. Through his work with many different organizations in different countries, he has proven his main business belief, “The success of companies depends on how capable they are of unleashing the talent and passion of their people to win with the hearts of a growing number of customers.” His career has been focused on helping companies to develop the leadership competences as well as the strategies, systems, and capabilities to deliver superior results. Prior to working for HARTMANN he worked at Procter & Gamble, where he led several operations and product launches. He also participated in a global benchmark session between P&G and Toyota. Afterward he was assigned to lead an internal transformation, which resulted in breakthrough improvements in Key Performance Indicators such as lead time, speed to market, produce to demand, and productivity. Before working at Procter & Gamble, he led multidisciplinary and multicultural teams in different countries, sectors, and work environments, including Schneider Electrics, Werfen Group, Hewlett Packard, Honeywell, and the Volkswagen Group. A native of Barcelona, he is a Postgraduate Director and Master’s program associate professor at the Polytechnic University of Catalonia. He is also lecturer at the IQS Executive Education School in Barcelona. Toyota Culture: The Heart and Soul of the Toyota Way, 2008. 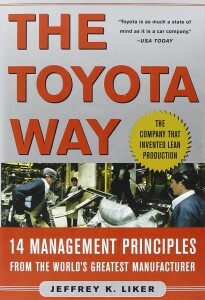 The Toyota Way to Lean Leadership: Achieving and Sustaining Excellence through Leadership Development. Developing Lean Leaders at all Levels: A Practical Guide. His articles and books have won eleven Shingo Prizes for Research Excellence and The Toyota Way also won the 2005 Institute of Industrial Engineers Book of the Year Award and 2007 Sloan Industry Studies Book of the Year. In 2012 he was inducted into the Association of Manufacturing Excellence Hall of Fame. He is a frequent keynote speaker and consultant. Recent clients include Caterpillar, Applied Materials, Siemens, Dover Industries, Kraft-Oscar Meyer, Alcatel-Lucent, Hertz, Solar Turbine, Art Van Furniture and Henry Ford Health Systems. He has a BS in industrial engineering from Northeastern University and a PhD in sociology from the University of Massachusetts. Maxim Ilin is a partner at SmartValues, a Moscow firm founded in 2013 to help organizations with strategic business development by forming knowledge, skills, and habits necessary for strategy implementation and goal achievement. 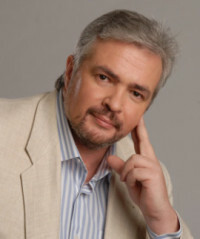 He is one of the early pioneers in forming and developing the Russian market of training and consulting services. Before 2013 he was a founder of MTI and formed its positive reputation. SmartValues was formed to promote new foreign programs to complement their strategy business development expertise. They are licensed by Vitalsmarts to teach “Crucial Conversations” and “Influencer” programs. They are also licensed by Zenger Folkman to teach the “Extraordinary Leader” program. Maxim has worked with the leading Russian companies in the field of strategic development, operational activity optimization, growth of organizational process effectiveness, organization of sales systems, implementation of corporate culture, and leadership development. His primary focus is to help top, middle, and junior management solve key problems taking into account their strategic goals and specifics of their business. The solutions developed together with SmartValues are implemented by the client in the whole organization afterwards. Prior to his external consulting work, Maxim was an internal organizational consultant with one of the largest machine tool companies in Russia. There he spearheaded leadership development and organizational systems redesign to make the company more competitive at a time when Russia moved to a free economy. His client list includes Metro Cash & Carry, OBI, М.Video, Eldorado, Соса-Соla, Ingosstrah, VТB, Lukoil, Kimberly-Clark, МТS, Bayer, Gazprombank, Sberbank, Schnider Electric, Johnson & Johnson, PepsiCo, Rosatom, Azbuka Vkusa, ТNК-ВР, Syngenta, Novartis, Sandoz, PERI, DPD, Motorola, Moscow Bank, MasterCard, Rosneft, and Procter & Gamble. Thomas Doering is a native German and resides in Hochheim am Main, a beautiful wine-growing village in the triangle of Frankfurt, Mainz, and Wiesbaden, Germany. During his careerhe has lived in Germany, the United States, the United Kingdom, and Romania. 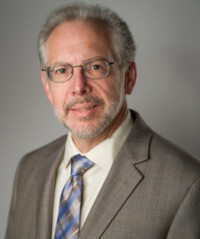 After an apprenticeship and University graduation as an engineer, Thomas worked for 25 years for Procter & Gamble in various leadership roles and disciplines, including Manufacturing,Engineering, Purchasing, and Planning/Project Management.The focus of his work has been people & organizational development and project management. 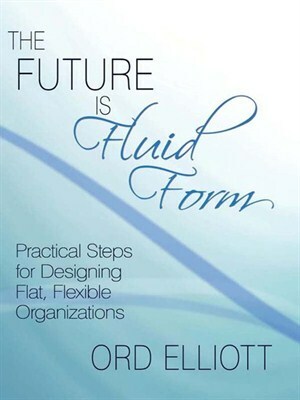 Throughout his career he successfully helped organizations to deliver better results. His work experience includes leading international diverse teams, including remote teams. Driven by a passion to learn and understand, he started a graduate program at UNIKIMS (themanagement school of the University of Kassel), where he will complete his M.A. degree in Organizational Counseling and Coaching in 2016. 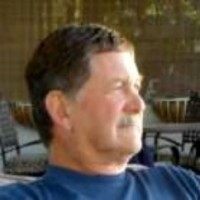 He is also a certified Coach/Supervisor (DGSv) and a certified OSM Consultant. 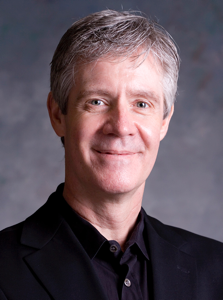 Thomas’ focus interests are in LEAN production, High Performance Organizations, Leadership, and Career management. Restructuring an Aerosol manufacturing site to align organization and strategy to meet the Produce-to-Demand stakeholder need. The work included design and implementation of the organizational systems. Planning and execution of a Sourcing Study for a manufacturing operation. Scope included the re-location and start-up of a Toothbrush Making Operation in Germany. Restructuring an Engineering Organization in a Pharmaceutical company, integrating two manufacturing sites located in Germany and France. This work included the development of a Site Master Plan to fit future business needs. Planning and implementing a central CAPEX sourcing and procurement organization serving multiple manufacturing sites in Germany. The procurement work processes were standardized for a later transition in a newly established EMEA service center. Creation of a new spend pool category in the sustainability area leading to accumulated cost savings >100 MMUSD and a Zero-Waste-to-Landfill strategy for the corporation. Implementing LEAN principles in a newly built manufacturing site in Eastern Europe as an internal LEAN Consultant. In less than 5 years after start up the site has become a benchmark in terms of manufacturing excellence and operational results. 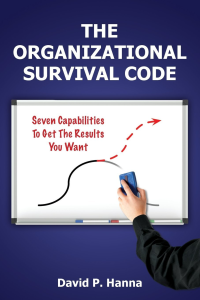 Ord’s sole goal is to optimize your personal and business objectives. 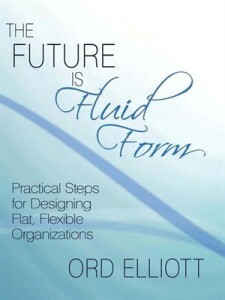 Ord has envisioned and advised companies about a new wave of more agile and dynamic organizations, which he describes in his book The Future is Fluid Form: Practical Steps for Designing Flat, Flexible Organizations.He is also the author of Change Portfolio: Five Comprehensive Change Methodologies from Strategic Planning to Re-engineering.